Anyone who’s had open heart surgery in Chicago should beware: You could have a deadly infection brewing in your chest. The U.S. Centers for Disease Control and Prevention (CDC) has issued a warning that a device commonly used to heat and cool the blood during open-heart surgery may be contaminated with a nasty bacteria Mycobacterium chimaera. with Mycobacterium chimaera bacteria and causing infections . When thorough cleaning could not remove the nasty bacteria, officials suspected that the devices had been contaminated in the factories while being put together.Mycobacterium chimaera lives naturally in soil and water where it remains relatively harmless. However, put it inside your chest and these bacteria turn mean and can cause death. The U.S. Centers for Disease Control and Prevention (CDC) has issued a warning that the device commonly used to heat and cool the blood during open-heart surgery may be contaminated with a nasty bacteria: Mycobacterium chimaera. Common reasons for open-heart surgery are to repair or bypass blocked arteries supplying blood to the heart muscle, repair heart muscle, repair or replace heart valves, insert a device that controls an abnormal heart rhythm, or replace the heart (i.e., heart transplant). These are major surgeries that take hours to do. While the surgeon is working on the heart, the heart is not available to pump blood to the rest of the body. Therefore, you will be connected to a machine that will act as your heart and pump blood while keeping it at body temperature. This machine uses the heater-cooler device mentioned above. With such a major surgery involving various devices and equipment, different microorganisms basically have different possible routes into your chest.Therefore, medical device companies need to use safe and good manufacturing practices, with a key component being proper hygiene. 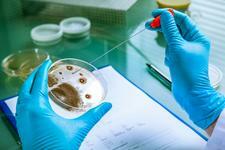 Non-sterile conditions can lead to unwanted bacteria in the devices. If a patient contracts an infection from Mycobacterium chimaera, that patient could get pneumonia, a severe infection of the lungs, and sepsis, a condition sometimes referred to as a blood poisoning that can cause tissue damage and organ failure. Both pneumonia and sepsis cause death. If you or your loved one has undergone heart surgery with a Sorin 3T LivaNova heater-cooler device you may have been exposed to a serious bacterial infection and you may have a product liability suit. Contact the Caras Law Group right away if you have questions about your possible exposure or you have suffered an infection from the Sorin 3T LivaNova heater-cooler device. We have experience in handling these kinds of cases and would be happy to discuss with you the pursuit of your rights. Request a free consultation with attorney Dean Caras at 312 494-1500.